Can you help train a new generation of Language Development leaders in Australia? SILA in collaboration with BTA in Papua New Guinea and VBT in Vanuatu is looking to train the first in a potential series of groups of translators in a 1-year Diploma of Ministry. 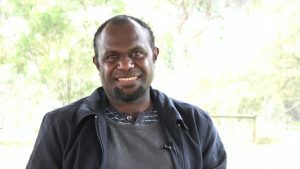 * The initial goal is to sponsor a group of gifted and proven translators, two from PNG and one from Vanuatu, to study for the year at SILA Kangaroo Ground commencing in 2019. The Diploma has some units especially designed for people from a non-English speaking background. It will establish them with a qualification that would be highly respected in their social contexts that enables them to competently coordinate whole language projects and mentor others like themselves in years to come. The feasibility of the whole project hinges on being able to raise support for English tuition, travel, accommodation and medical insurance which comes to approximately $25,000 per candidate. Only finance stands in the way of this equipping becoming a reality for the whole group. Any donors who share the sense of the strategic nature of this venture may contribute to this training through the Overseas Student Support Fund via the link below. Please note that all donations to SILA are processed by Wycliffe Bible Translators Australia.